It's the card that works like a check, only better. Think of it as your ATM card and your checkbook all rolled into one. Because the card carries the MasterCard logo, it's accepted anywhere MasterCard is welcome. Use our Debit/ATM card in more ways and at more places than ever before! Debit cards include Smart Chip technology with enhanced security features! Learn more below. Debit Cards also include access to Apple Pay! Click to learn more. If you have plans to travel outside of the United States on a trip in which you intend to use your American Community Bank MasterCard Debit/ATM card, please make the bank aware of your plans about a week before you travel to request card activation for international usage. Also, if you need or expect to make purchases with your MasterCard Debit/ATM card at businesses located outside the United States, please make us aware and request that we activate your card for international usage. This is for your safety and protection, as many instances of fraud originate from outside of the country where it is difficult to police or prevent. For ANY transactions outside of the United States, whether it is overseas or just in Mexico or Canada, we ask that you contact the bank, in person or in writing, before any expected transactions are attempted so that we can ensure that your American Community Bank MasterCard Debit/ATM card continues to work properly. Your everyday, domestic use of your MasterCard Debit/ATM card remains unaffected. There is no need to do anything unless you are making plans to travel to or purchase items from outside of the United States. In the event that fraud is ever suspected on your MasterCard Debit/ATM card, you may receive a phone call to verify transactions. Be advised that while you may be asked questions to confirm your identity, no one should EVER ask for your Card Number, PIN Number, or full Social Security Number. Here are a few Frequently Asked Questions about the Debit/ATM card. Simply click on a question to reveal it's answer. 1) What's the difference between my American Community Bank Debit/ATM card and a credit card? Your new Debit/ATM card looks a lot like a credit card, but it is not - although it is just as easy to use! Instead of purchases being made on credit to be paid back later (with interest of course), purchases are instead deducted directly from your primary checking account with your existing funds. You are not billed on a monthly basis and there is no interest to pay. It's like a simpler and quicker way of writing a check. Note that it also functions as an American Community Bank ATM card, providing you 24-hour ATM access to your checking or savings account. 2) Where can I use my Debit/ATM card? You can use your card anywhere MasterCard is accepted: retail stores, restaurants, supermarkets, gas stations, hotels, airlines and many more places. The American Community Bank Debit card also serves as your ATM card, which can be used at thousands of ATMs. 3) How do I use my American Community Bank Debit/ATM card? When you make a purchase, instead of filling out and signing a check, you will simply sign a sales slip or enter your PIN. (At an ATM, you will have to use your PIN.) The purchase or withdrawal amount will then be taken directly from your American Community Bank account. Then you simply deduct that amount from your register, just as you would when writing a check or making any withdrawal. Online Banking is a great way to verify and keep track of all of your purchases and withdrawals for those instances when you forget to write something in your register. 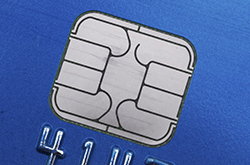 4) What is a smart chip or chip card? A smart chip or chip card is a debit/ATM card (or credit card) that contains an embedded microchip in the card. The microchip provides and enhanced layer of security to your transactions and makes it easier to use at merchants that are chip-ready. 5) How is the chip card more secure? The embedded microchip provides unique data specific to your card and the transaction being processed. These security features make your chip card extremely difficult to counterfeit. 6) Can I use my chip card at non-chip terminals? Yes! Your chip card will also have the usual magnetic stripe on the back so you can continue using your card at ATMs and Point of Sale terminals that are not yet chip-ready. 7) Why is my American Community Bank Debit/ATM card better than writing a check? There is no need to carry your checkbook and spend time writing checks. You won't need credit cards and you won't have to carry lots of cash. Your American Community Bank Debit/ATM card is all you need! It's a money saver, too! There are no monthly or annual fees, no finance charges, no credit card bills and fewer checks to buy. 8) What's the difference between using my signature or my PIN? 9) How do I keep track of my purchases? Online Banking or the bank's Mobile App are great ways to verify and keep tabs on all of your purchases and withdrawals. You can, of course, record each receipt in your checking register. All purchases and ATM transactions will also be listed on your monthly account statement. 10) What happens when I need to return merchandise? It's the same as returning merchandise purchased with a check or credit card. Be sure to save your receipt. You must resolve issues directly with the merchant. 11) Can I use my debit card in other countries? Yes, but you must notify us first. For your safety and protection, foreign countries will be blocked until you request activation, which can be permanent or temporary. So, if you need or expect to make purchases with your MasterCard Debit/ATM card at businesses located outside of the United States, please make us aware and request that we activate your card for international usage. 12) What accounts can I access? A Debit/ATM card can be set up to access any checking account and some savings accounts. 13) What happens if my American Community Bank Debit/ATM card is lost or stolen? If you believe your card has been lost or stolen, call American Community Bank immediately during business hours and we will stop the use of your card immediately and order a new one for you. If you discover the loss/theft outside of normal banking hours, you have two options: you can use the bank's Mobile App to disable your debit card immediately and contact the bank as soon as you are able, or you can call 800-528-2273 (toll free, 24 hours a day, every day) and follow the instructions provided. 14) How can I get more information on the American Community Bank Debit/ATM card? Stop by any American Community Bank location or call us. We'll be happy to answer all your questions. 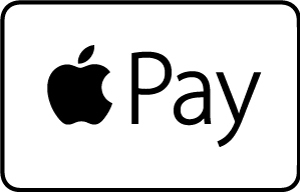 A convenient new way to pay using your approved Apple device.